Do you need a fast and secure Internet service at home? For work and for play, if you want the fastest possible connections then fibre optic broadband is what you are looking for. Money Pug can help. Here you can search and compare a range of fibre optic Internet options for where you live, and save money on staying connected. Simply enter your postcode and find the right deals for you by comparing with Money Pug today! Whether you just want fibre optic broadband, or are looking for fibre optic broadband bundles, we’ve got you covered. 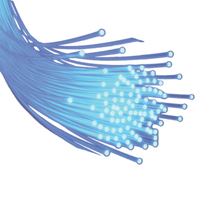 Fibre optic broadband uses fibre optic cables, which are thin ‘pipes’ of glass or plastic. The information being relayed is carried down these ‘pipes’ as pulses of light before being turned into internet data that your computer can relay to you. There are two main types of fibre optic broadband, fibre to the cabinet (FTTC) and fibre to the premises (FTTP). This is the fastest sort of broadband Internet connection currently available. Can I Get Fibre Optic Broadband Where I Live? Fibre optic broadband is not yet available to everyone in the UK. Finding out what Internet connection options are available in your area is easy when you compare with Money Pug. Simply enter your postcode to be given available options for your area. Up until as recently as 2010, Virgin Media was the UK’s only fibre optic broadband provider. With speeds up to 300 Mbps, this is still one of the fastest options. However, there are now a number of other providers offering this service. For example, BT’s Infinity products can offer even faster speeds for FTTP. Should I go for Broadband Bundles with Phone, or Phone & TV?